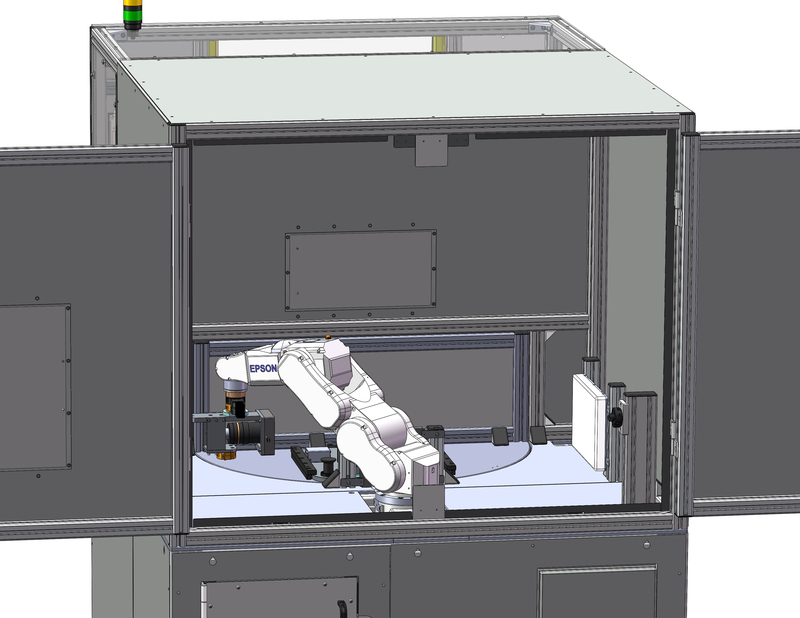 Six-axis robot vision system is a cost-effective solution to adapt vision inspection for different type of products. The fast changeable fixtures make the system suitable to adapt to new products. The base machine is easily programmable for applying different type of fixtures.